Came early love the sound. Good products ... overall great job. This amp is pushing 2 12inch Alpine Type S dual vc subs with no problem, no cut outs, and no overheating. Very surprised with this little amp and happy I made the purchase. 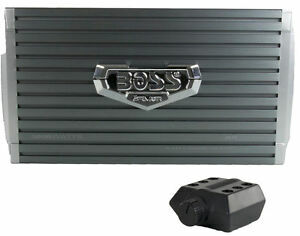 This amp is very small and pushes no where's near 3000 watts but for the price u can't beat it. With proper air circulation this thing will beat all day long. All in all worth the money u will spend. Great amp! Works well and also makes my subs hit harder now! Thank you!